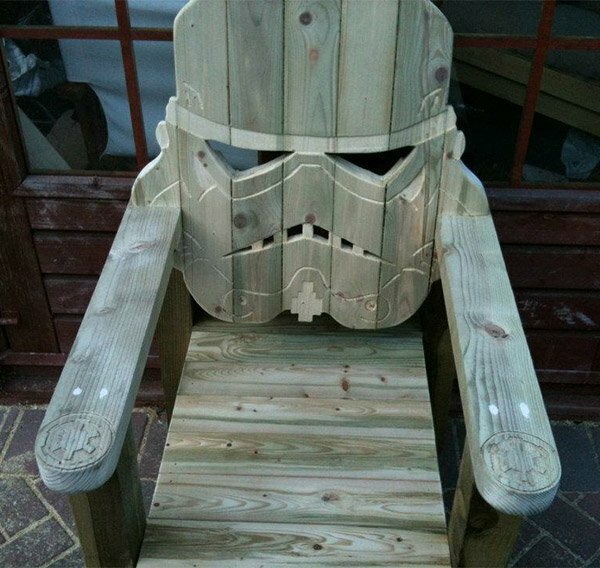 This could be the greatest outdoor chair of all time. I want a set of four for my deck RIGHT NOW. I have my credit card in hand, and will pay top dollar for a set. If needed, I will borrow money from Jabba the Hutt to cover the cost. 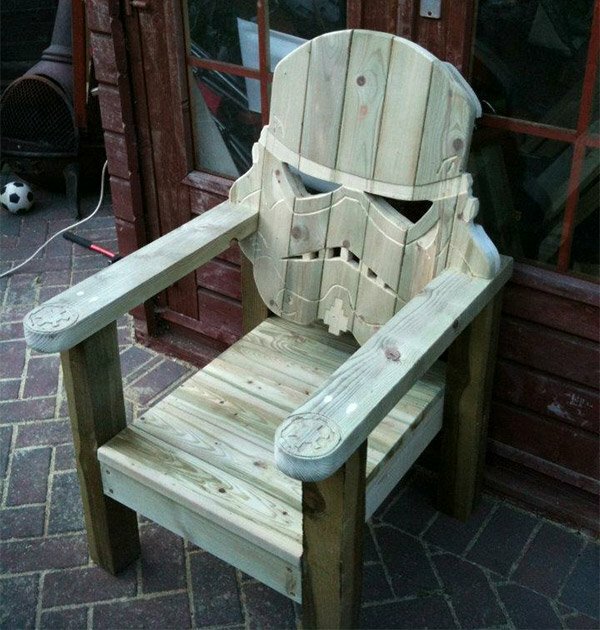 This Stormtrooper helmet chair was created by Gotwood Workshops, and it is completely awesome. Not only is the helmet back perfect, but it’s even got the Empire logo carved into the arms of the chair too. Unfortunately, the GotWood guys don’t plan on selling these because of copyright concerns, but you might want to swing by Gotwood’s Facebook page to compliment them on the design anyhow. And while you’re over there, you’ll find out that they appear to be working on a matching Darth Vader chair too.